Treatment of Industrial Effluents - our Passion! Extensive consultancy service concerning waste water, circulating water and plant engineering for effluent treatment. We design waste water treatment plants and provide all necessary documents. Design, manufacture and installation by our qualified and certified staff. As a certified specialist according to the Federal Water Act, we offer annual maintenance. We have been designing and manufacturing very compact and thus space-saving wastewater treatment plants and many modular process technologies for more than 25 years. OKO-aquaclean wastewater treatment systems reprocess effluent wastes from all industrial sectors in a successful, economical, and reliable way – e.g. waste water from parts cleaning, oily degreasing baths, machining emulsions and waste waters from paint shops. OKO-aquaclean wastewater treatment systems for industrial use are manufactured in modules. The basis is a treatment reactor which is realized as type-approved oil-water separator. 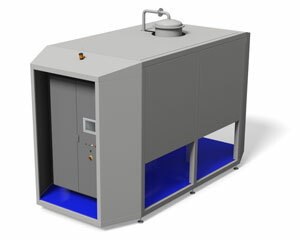 This treatment reactor can be complemented by additional modules or technologies to meet the respective requirements. Each industrial wastewater is like a fingerprint. Even if procedures and processes seem to be the same, the effluents vary in their quality and in their requirements for proper treatment. The treatment technologies to be used are chosen according to this fingerprint and according to the customer-specific requirements concerning the technology of the processes and the plants. OKO-tech design, manufactures, installs and optimizes individual solutions for wastewater producers. The starting point for planning the individual module compilation is the analysis of the conditions and customer requirements. 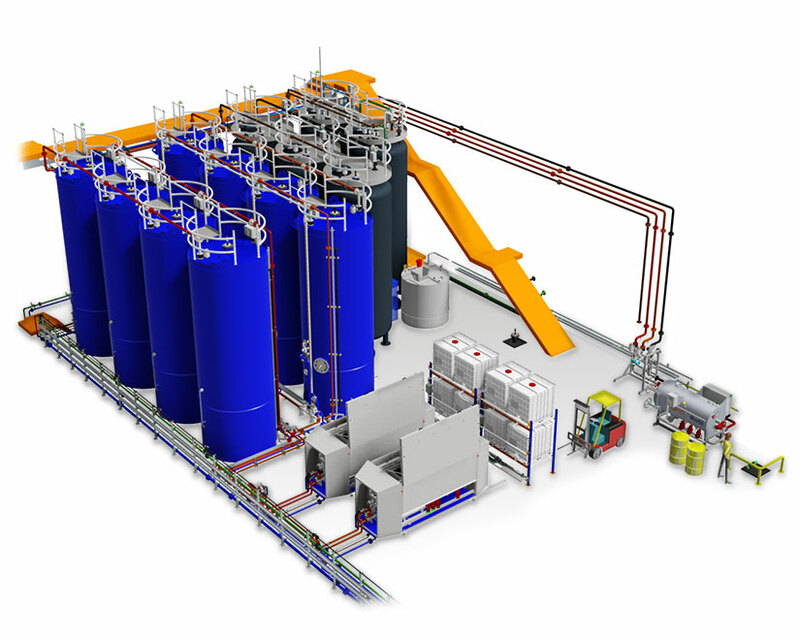 Over- or under-dimensioning of the effluent treatment system is thus impossible, unnecessary purchase costs and operating costs are avoided and seamless integration into existing operational structures is ensured. The OKO-aquaclean technologies provide a certified “best available technology” for each challenge in terms of economic efficiency and water quality. The basic version as oil-water separator according to DIN 858 – equipped as coalescence separator, if desired – for treating readily separable oil-water mixtures has stood the test of time for industrial use as well as for groundwater remediation. 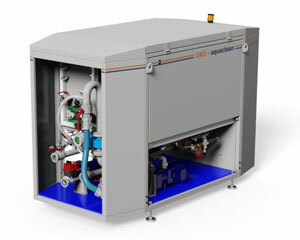 OKO-aquaclean flotation plants coming with optional integrated UV-technology reliably remove tramp oils and particles from process waters such as cooling lubricants and degreasing baths, thus contributing to an extended life-time and hygienic safety in terms of an effluent-free production. Additional modules upgrade them to emulsion breaking systems which break most difficult emulsions into their recyclable original components. For treating non-breakable emulsions, OKO-tech provides a new generation of energy-optimized evaporators. Mobile oil-water separators support waste management companies in treating large quantities of waste water from stationary oil interceptors, grease interceptors and accidents. A high level of automation and quality control of the clear water contribute to the acceptance by regulatory authorities and to a good usability of the systems. We stand for economical and ecological solutions up to effluent-free production at the highest standards and with the best available technologies (BAT). Benefit from the experience and expertise of our application consultants for recirculating water for indirect discharge and effluent-free production. As a system provider, we are not fixed at one treatment method unlike most providers. Our selection is based on the customer requirements for wastewater treatment and on the economical and technical assessment of the objectives. We will find a solution! The sensor-controlled, high-performance flotation process in OKO-aquaclean systems allows for maximum separation efficiency and automation at the lowest operating cost. OKO-aquaclean can be used as a standalone solution or integrated into large systems. Optimized evaporation methods for the treatment of industrial waste water by distillation. Implemented in consideration of efficient heat transfer, low power consumption and a low effort required for cleaning. 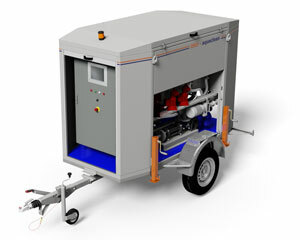 The mobile OKO-aquaclean plants remove oil from water reliably. Waste volumes are reduced by separating water from the material to be disposed of. The space-saving physico-chemical effluent treatment plants are for neutralising, precipitating, flocculating, detoxifying, and treating aqueous wastes. A solution for all industrial sectors - but not the same solution everywhere. Industrial effluents are produced in all sorts of sectors. Every industry generates an individual wastewater load, depending on what is being produced. You have to know the characteristics of this "fingerprint" to treat contaminated industrial wastewater as ecologically and economically as possible. In addition, you have to be able to tailor your services and systems exactly to the customers' needs. Our extensive knowledge acquired over two generations shows our expertise and quality. Learn more by downloading our application examples. Industrial wastewater treatment is regulated by law in many areas. However, using efficient treatment systems does make sense in any case where legal regulations are lacking or where process waters are reused on a voluntary basis. There are different systems for improving process water quality, which work in different ways, for every industrial or commercial application. Where purely physical methods are not sufficient or cannot be used in a sensible manner, thermal or physical-chemical methods can be used as alternatives.The suitable method for treating an industrial waste water depends, in each case, on the type and the extent of the pollution as well as on the ambient conditions. In many production areas in the chemical and technical industry, enormous amounts of water are produced which can be a hazard to humans and the environment, as they can be heavily contaminated. Where efficient production processes cannot avoid the accumulation of significant amounts of wastewater, an effective and cost-efficient solution for the separation and treatment of used water is required. In order to minimize the hazards for employees, uninvolved parties and the environment, the most modern procedures should be used. Progress and developments in the field of industrial waste water treatment are illustrated by our lectures and publications.